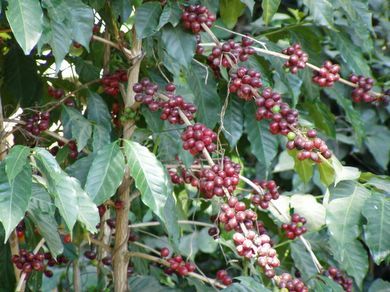 A coffee tree heavy with ripe coffee cherries. Well… mostly ripe. Look closely and you’ll see a few green cherries in those red clusters. Hand picking is a must.